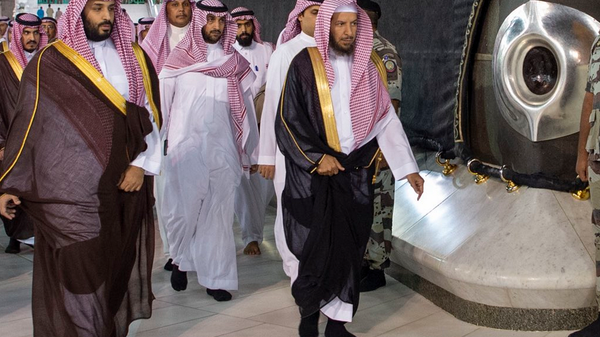 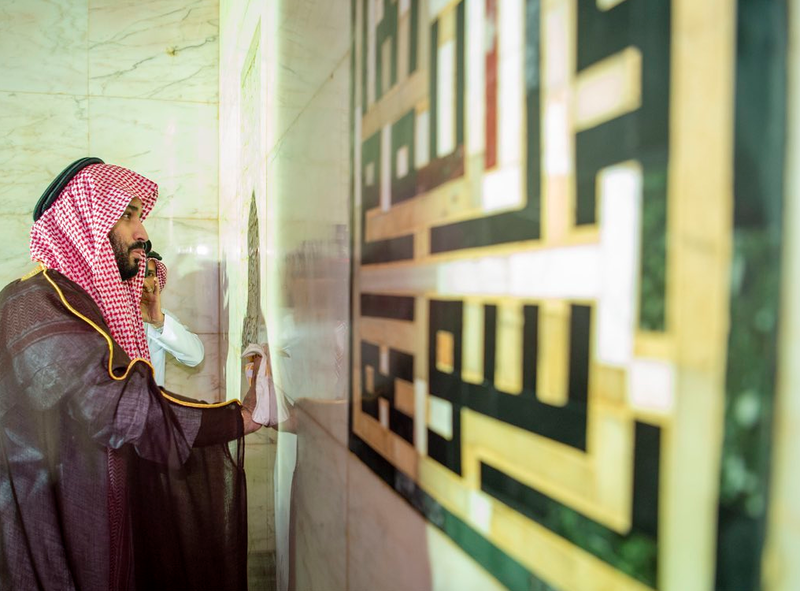 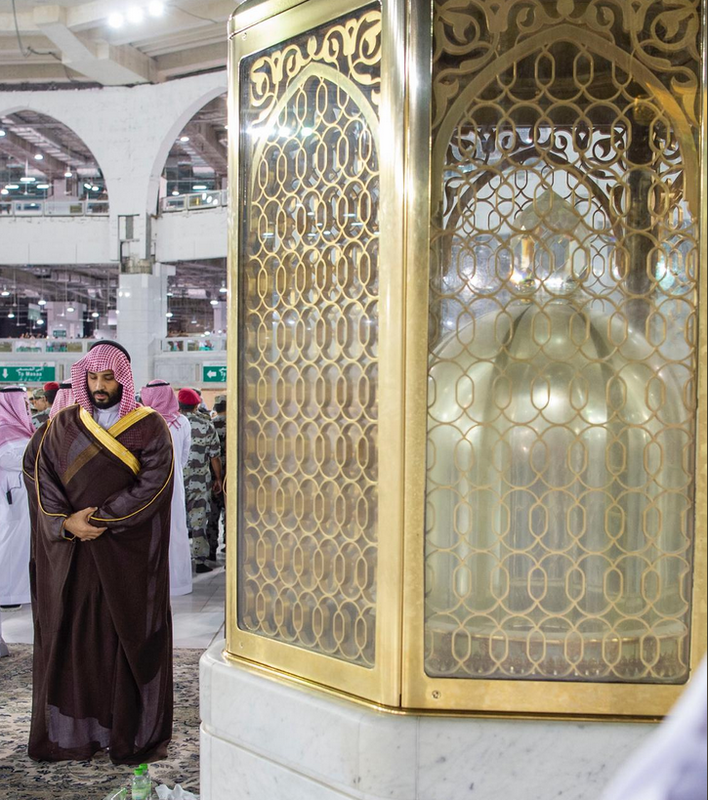 Saudi Crown Prince Mohammed bin Salman visited Holy Mecca early on Tuesday, where he was reportedly briefed on an expansion project set to increase praying areas. 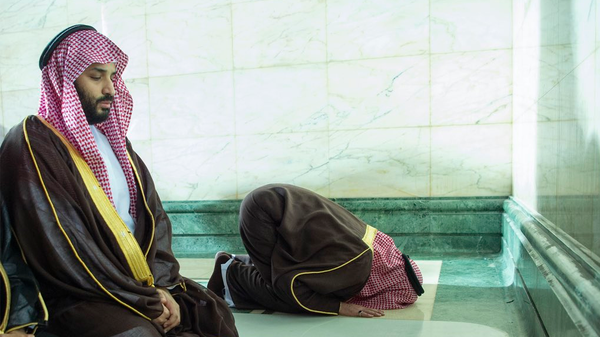 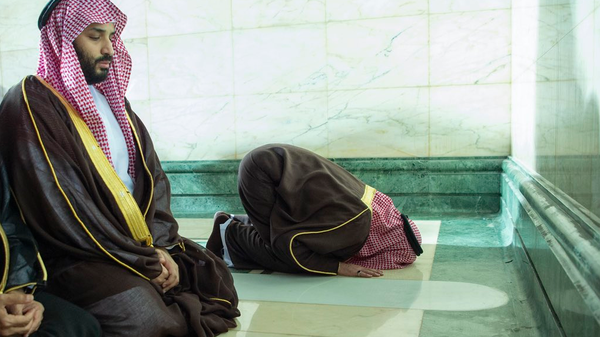 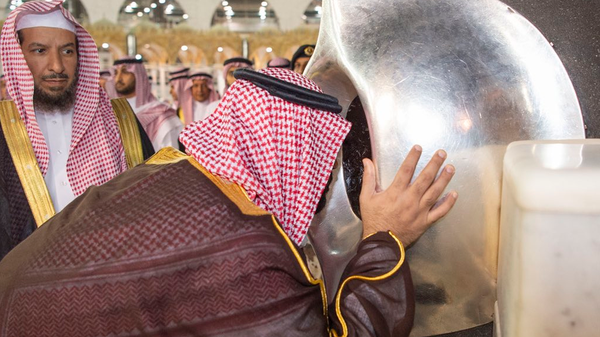 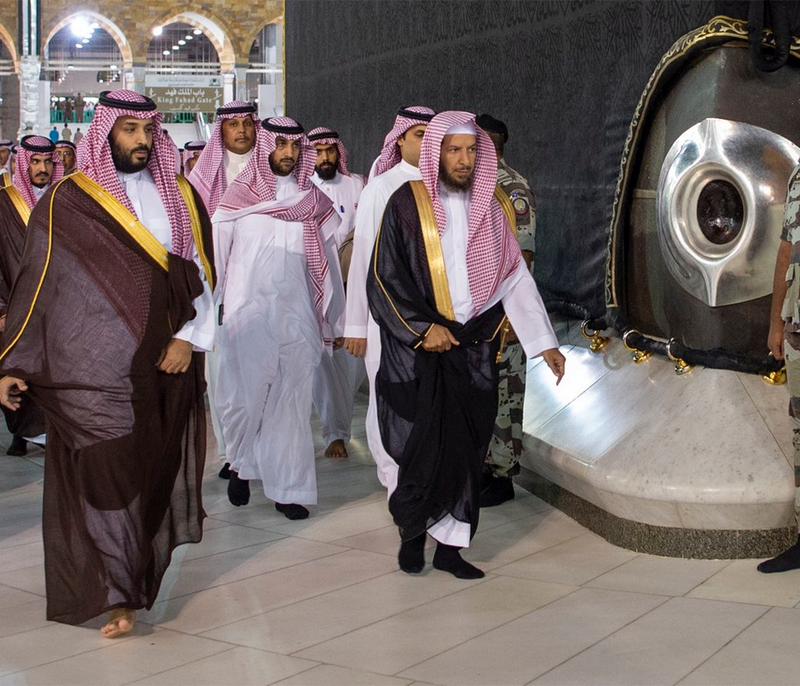 The Crown Prince prayed at the Grand Mosque as well as inside the Kaaba, and was seen kissing the Black Stone. 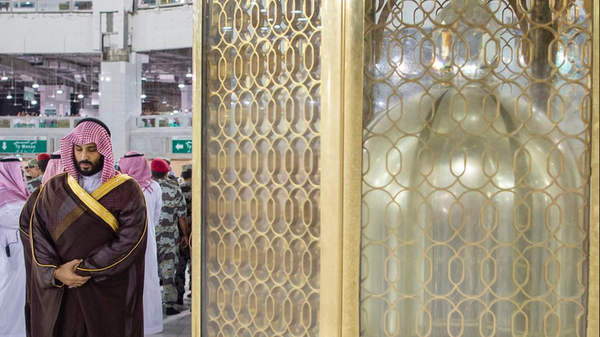 He was also seen on the rooftop of the Kaaba. 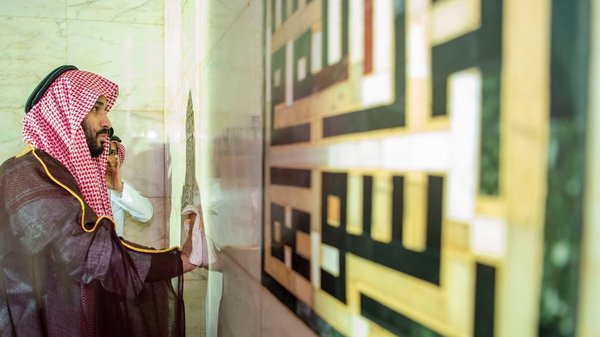 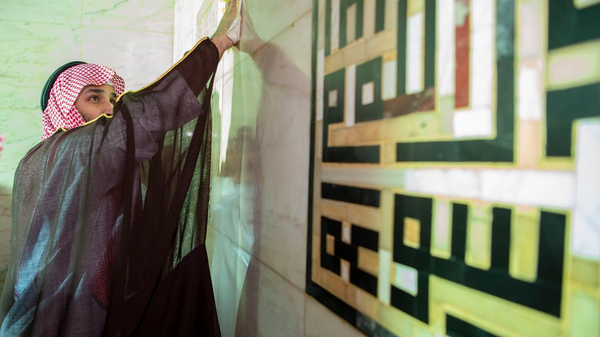 He also performed the traditional cleaning of the inside walls of the Kaaba, which is usually done using cloths dipped in Zamzam water mixed with Oud perfume, which are then used to wash the interior walls. 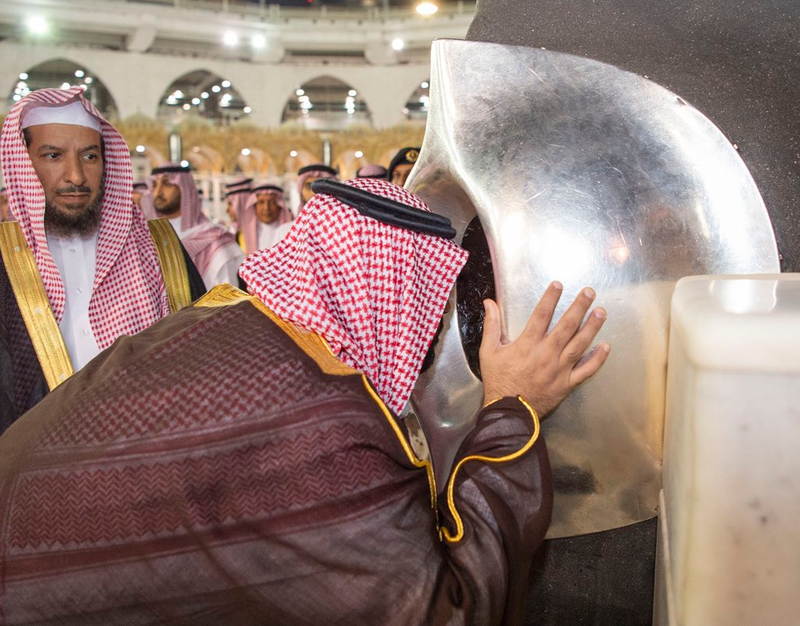 The Kaaba is usually washed by officials from the General Presidency of the Two Holy Mosques, and was previously washed by several Saudi kings. 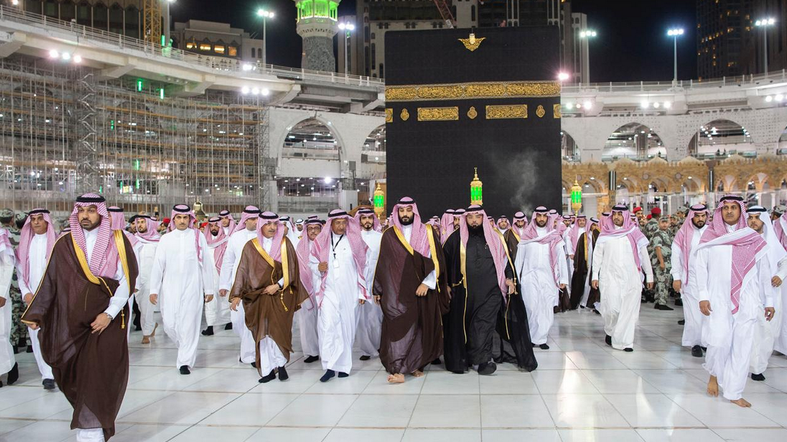 The occasion was documented by Bandar al-Galoud, a Royal Court photographer, who shared photos on his official twitter account. 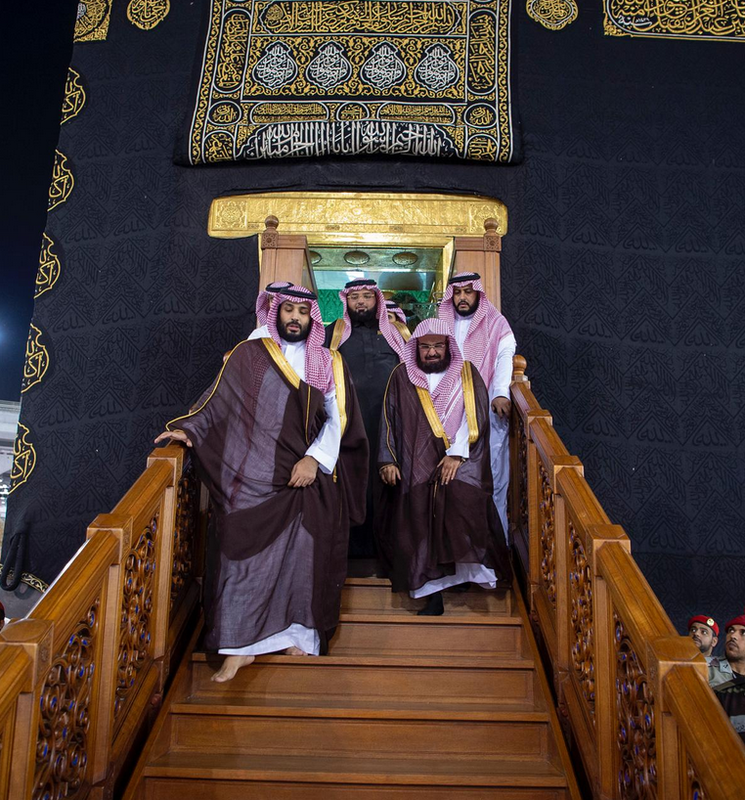 Several social media users shared clips of the Crown Prince’s visit to the holy site, using the Arabic hashtag ‘Mohammed bin Salman in Mecca’, which trended on Twitter. The Crown Prince had chaired on Monday the second meeting of the board of directors of the Royal Commission for Mecca City and Holy Sites, which is responsible for realizing the vision of the Custodian of the Two Holy Mosques in promoting services and establishing a sustainable system in Mecca. 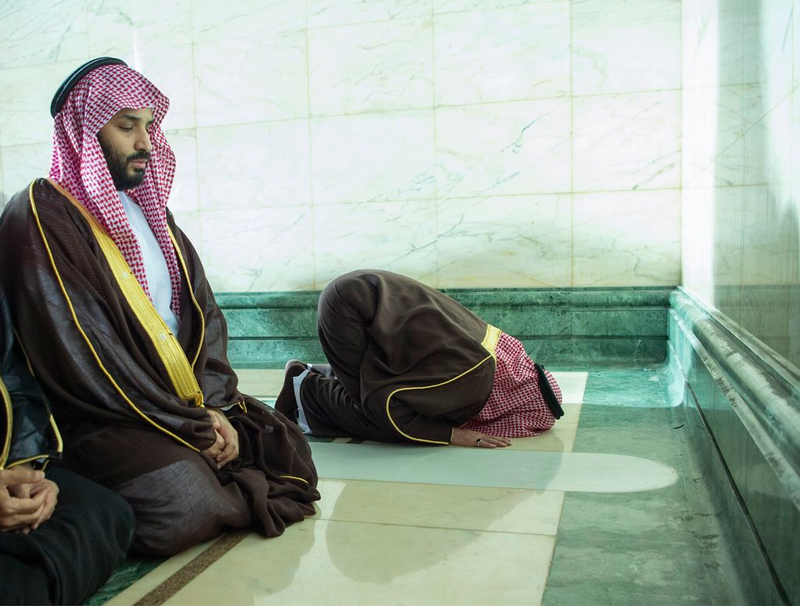 قبل قليل.. #ولي_العهد الأمير محمد بن سلمان يُقبل الكعبة المشرفة خلال زيارته للحرم المكي . 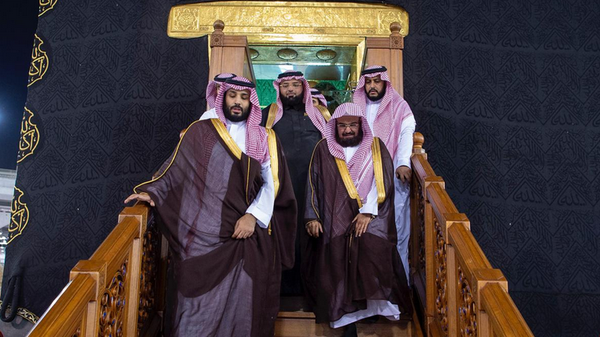 Among the officials that accompanied the Crown Prince was Sheikh Saad Bin Nasser Al-Shithri, member of the Council of Senior Scholars and advisor at the Royal Court.